I picked up the Oscillation PowerFoundation at Sephora during my Honolulu vacation. 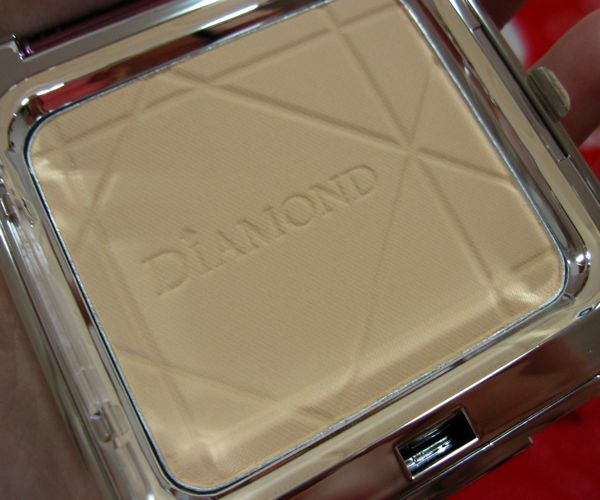 It is a mineral foundation that contains nourishing aloe and vitamin E and is free of talc, oil and fragrance. The sponge applicator does 7,000 micro-vibrations per minute. 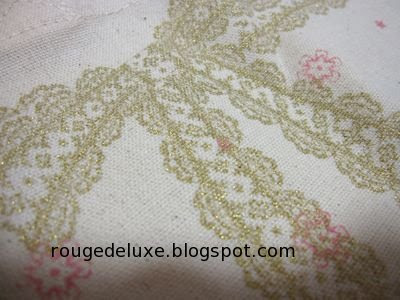 I am using shade Ivory #20, which turned out to be a perfect match for me. 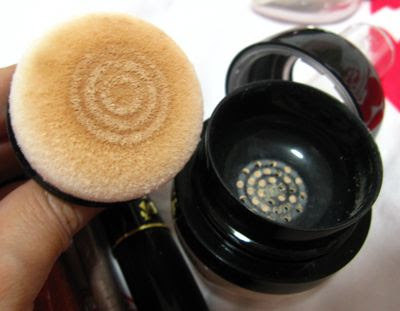 Although the Oscillation PowerFoundation may seem gimmicky at first, I actually found that the vibrating sponge applicator does help to achieve a lovely seamless and natural finish. The buffing motion smooths the foundation on very evenly, so there is absolutely zero streaking or caking. I love how it evens out my skintone without making it look flat and dull. However, the oil control is not that impressive and I have to blot about every hour or so. 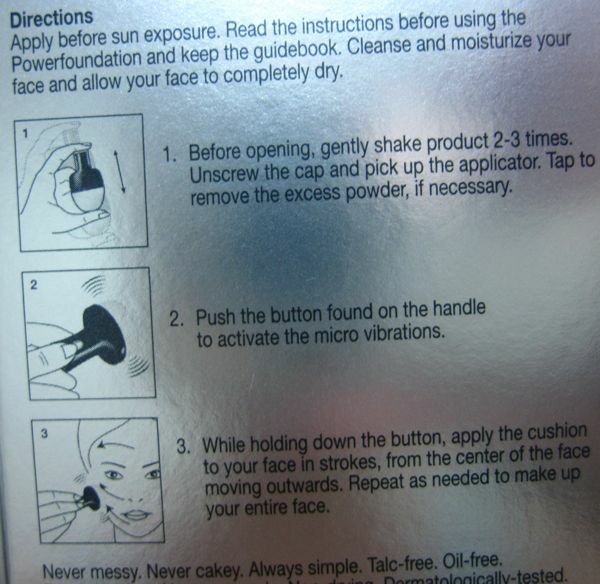 Applying this does tend to take awhile because only a little bit of product is deposited on the sponge each time. 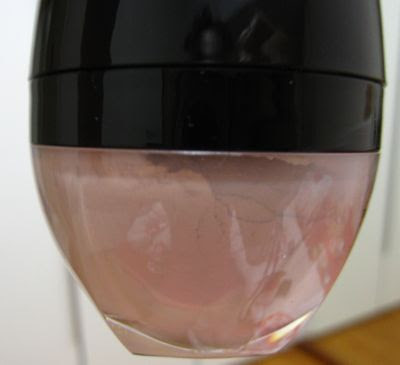 I have to tip the bottle over quite a few times and then buff it on, doing small sections of my face at a time. 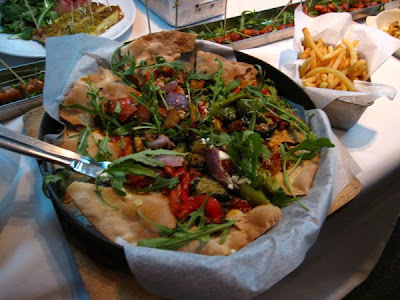 Here's the ingredients list and application instructions. From what I recall, the accompanying leaflet had included instructions on how to remove the battery from the handle for recycling. However, the instructions also advised that the battery should not be replaced. One thing that bugged me slightly was that the foundation pot appears to be quite full when it is standing upright. But if you tip it onto its side, you will discover that the pot is actually only just slightly over half full! The net weight is 8g/0.26oz. 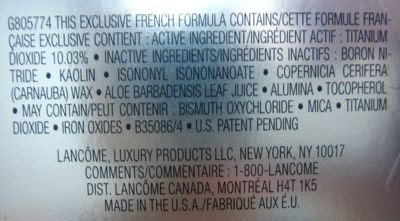 Would it really have cost that much more for Lancome to fill up the pot to near its maximum capacity? Probably not, especially considering that this foundation costs US$48! I used the Natural Beige shade (the darker of the two shades) from the Skin79 Diamond Perfect Cover BB Concealer on my under eye area. Unfortunately, I still can't seem to make this work well for me despite first prepping my eye area with Lancome Anti-Dark Circles Eye Serum. 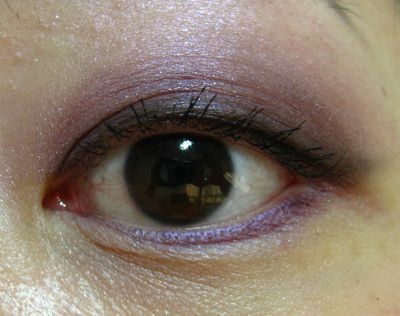 The concealer creased into the fine lines at the inner corner of my lower lid. 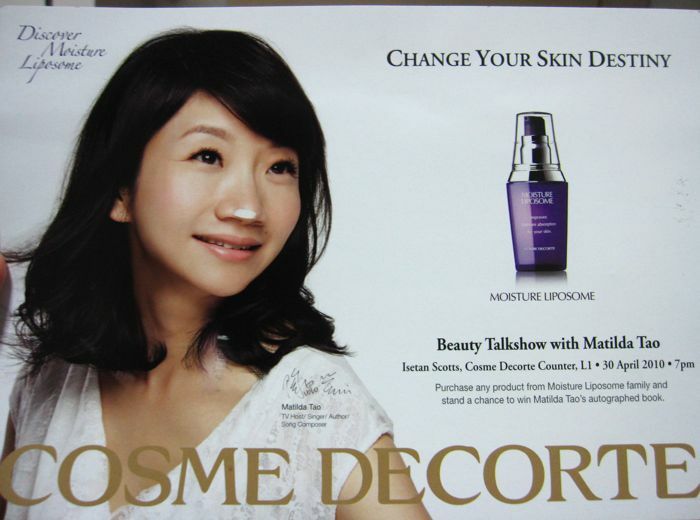 NARS Mounia actually has a richer deep wine tone in real life than the pic below. 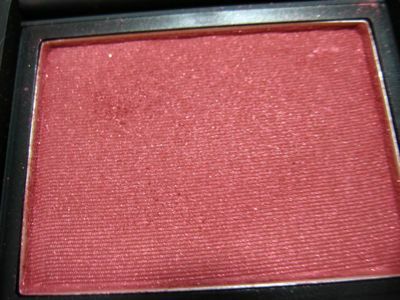 This is one of the most crazily pigmented blushes in the NARS lineup and a little bit goes a long way. My regular readers may have noticed that I've started to post more photos of my face makeup, instead of only my eye makeup. I hesitated for the longest time about doing so because I don't have perfect skin and I'm not as photogenic as many other beauty bloggers. And indeed, my pores have actually gotten their own hate mail! 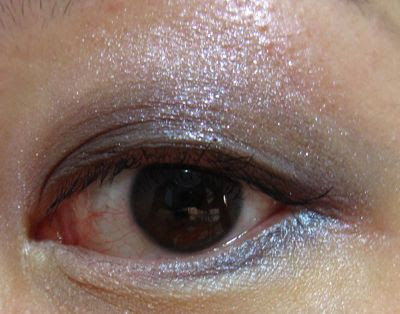 But at the end of the day, I decided that many of my readers probably also have skin imperfections and would find my reviews to be much more useful if they could actually see the complete look instead of just my eyes. One of the most touching comments that I've received was from a reader who said that I inspired her to start playing more with her makeup. So it's for these readers that I am doing this. I'm not model-perfect and I don't claim to have mad makeup skills but I'm actually quite comfortable in my own skin and with my looks. 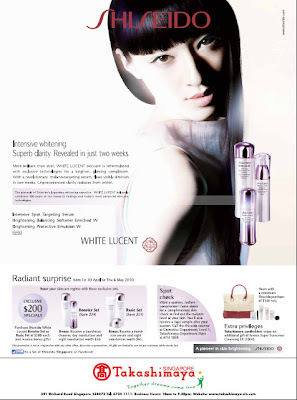 Shiseido is holding a "Radiant Surprise" promotion from Friday 30 April to Thursday 6 May 2010 for its White Lucent skincare line. There are two exclusive sets available at S$200 each. The Booster Set contains the Brightening Balancing Softener Enriched W and the Intensive Spot Targeting Serum (at a savings of S$38 compared to if you purchased them individually). Every purchase of the Booster Set entitles you to a travel size cleanser, day moisturiser and night moisturiser worth $50. The Basic Set contains the Brightening Cleansing Foam W, Brightening Balancing Softener Enriched W and the Brightening Moisturizing Cream W (for a savings of S$21). 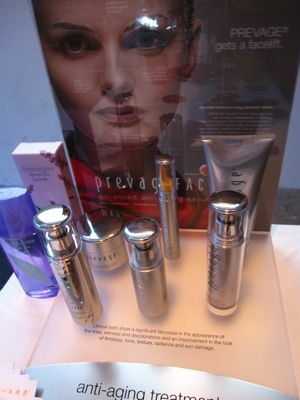 Every purchase of the Basic Set also entitles you to a travel size serum and night moisturizer worth $65. The Takashimaya Shiseido counter is also doing complimentary skin checks during which you can find out the melanin level of your skin and receive a 3-piece sample after the session. Just call 6735 1039 to make your appointment. You can read my earlier post about the White Lucent event for bloggers. Shiseido Singapore's Facebook page is a great resource for information on upcoming events and promotions. 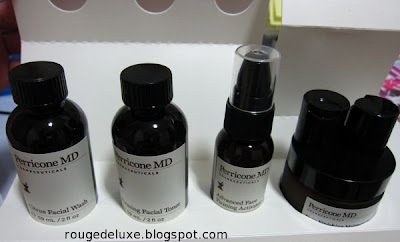 The Escentials boutique at Tangs Orchard has just launched the Perricone MD skincare line. 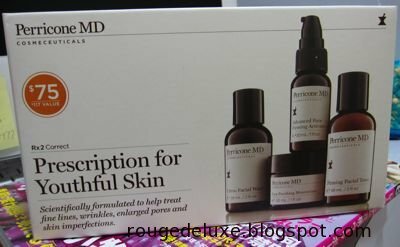 I walked by Escentials as usual just to check out the Stila counter and ended up purchasing the Perricone MD Prescription for Youthful Skin set. The set is an incredible deal at only S$80. This is even cheaper than the US where the set retails for US$75! The SA mentioned that the Advanced Face Firming Activator alone retails for over S$200 (although I think she is referring to the regular size which is 60ml/2oz, which goes for US$120 on Sephora.com, whereas the set contains a 30ml/1 oz version). Although I did not know it at the time of purchase, Sephora.com actually has plenty of positive reviews on this set. I love trial sets like these as they allow you to try out several of the products before committing to a full size. The set also includes two spare bottle caps for easier dispensation for the facial wash and toner. There were only about 7 of these sets left, so if you're interested in it, do hurry on down to Tangs Orchard! At the Stila counter, I was surprised to find the Barbie palette back in stock and got one of the two remaining pieces. 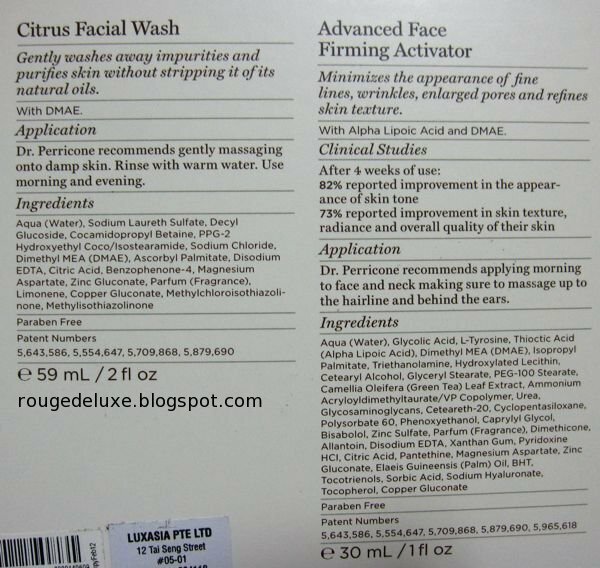 Here are the product descriptions and ingredients lists. The expiry date is February 2012. 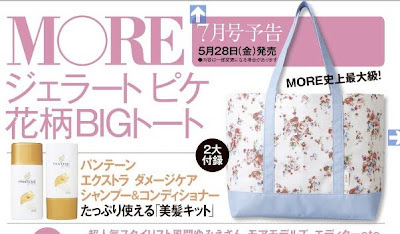 Picked up the June issue of With (S$19.30) at Kinokuniya today as it comes with a large canvas tote by earth music & ecology, which is a Japanese casual wear brand. Earth music & ecology, including their Liberty collection is available at Isetan Scotts Level 2. The soft tote bag measures 26.5x36x11.5cm, which comfortably fits a few A4-size magazines. 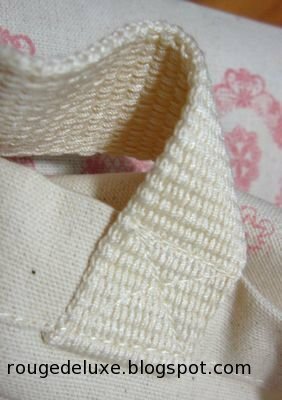 The interior is plain without any pockets. 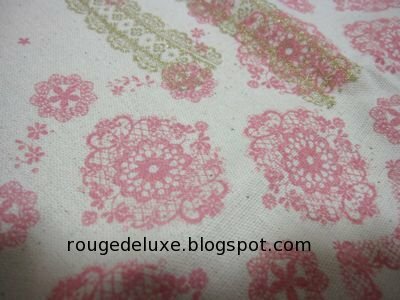 I already have a ton of tote bags but couldn't resist the pretty print on this bag. The gold motif is actually shimmery, which I felt was a very nice touch! 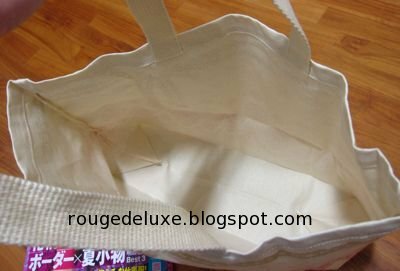 The handles have a nice thickness and do not feel flimsy, as can sometimes be the case with these magazine tote bags. 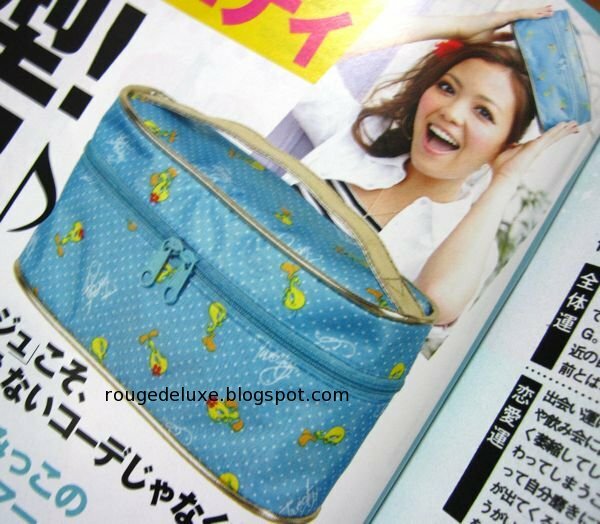 The July issue will include a Tweety vanity pouch measuring 10x19x7cm. The release date is 28 May for Japan. 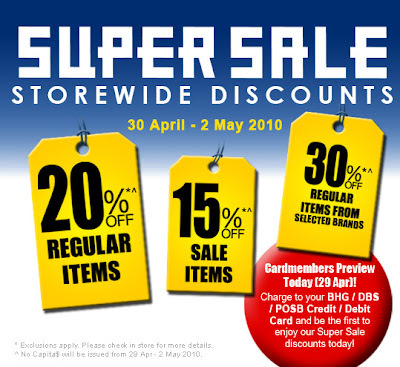 BHG is also having a storewide sale this weekend with discounts of up to 30% on selected brands. 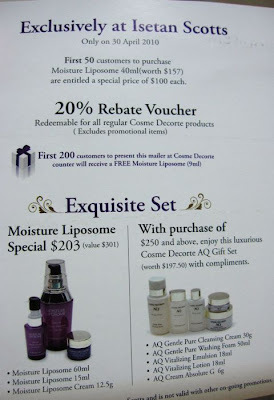 I'm not sure if any beauty brands are eligible for the 20% storewide discount but usually, brands such as Bourjois, Pupa, Maybelline and L'Oreal are eligible for the discount. Check out this page for more details, including a special Kose Sekkisei set. 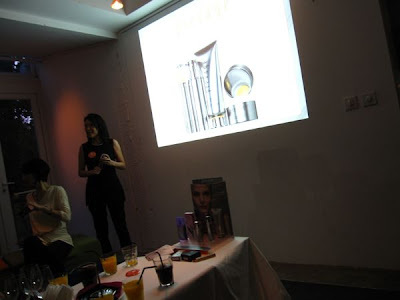 Elizabeth Arden held a private preview for beauty bloggers and some of its fans selected through its Facebook page at House@Dempsey on Wednesday night. 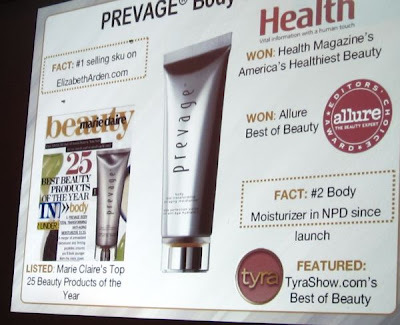 The event was to showcase its newly revamped Prevage Advanced Anti-aging Serum. 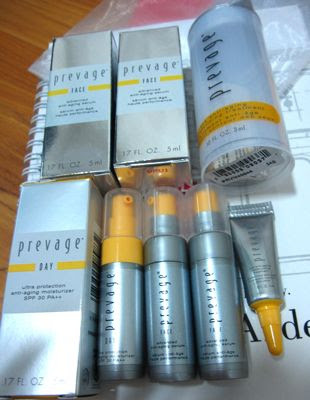 The Prevage line of anti-aging skincare was first launched in 2005. 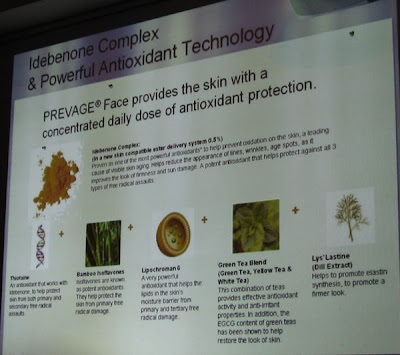 At that time, I remember it being a truly breakthrough product as it contains the extraordinary antioxidant, idebenone, which was proven to be more powerful than other antioxidants commonly used in skincare. 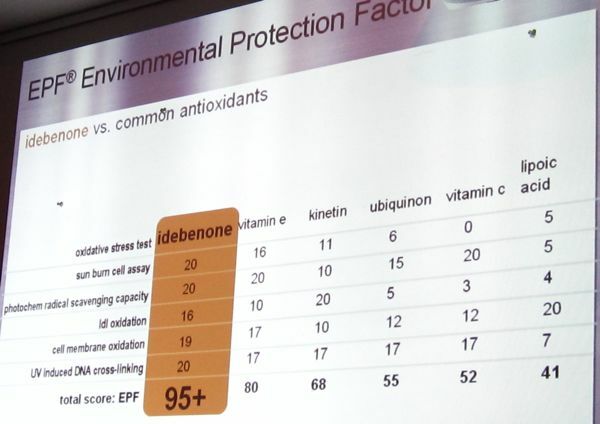 This chart below shows how idebenone performs compared to other antioxidants such as Vitamins C and E and kinetin. Idebenone has an Environmental Protection Factor of 95+ out of 100. Idebenone is a synthetic variant of Coenzyme Q10, which plays a vital role in cell function. However, the Coenzyme Q10 molecule found in skincare products is too large to penetrate the skin whereas idebenone can do so. Hence, idebenone is much more effective in combating the signs of aging and skin damage. The Anti-aging Serum has been reformulated to be more gentle and effective even on sensitive skin, by using a new ester delivery system that allows the idebenone to be used when and where it is needed. The serum contains 0.5% idebenone as well as a host of other beneficial ingredients such as bamboo isoflavones, green tea, thiotaine and lipochroman 6. The Anti-aging Serum is the #1 bestseller for Arden in Singapore. 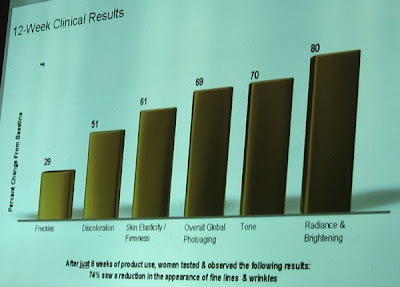 In the US, while the serum is also the #1 bestseller at Arden counters, surprisingly the #1 seller on the Arden website is the Body Total Transforming Anti-aging Moisturiser, which helps to minimise the appearance of age spots, discolorations and sun damage as well as helping to firm and tone skin. 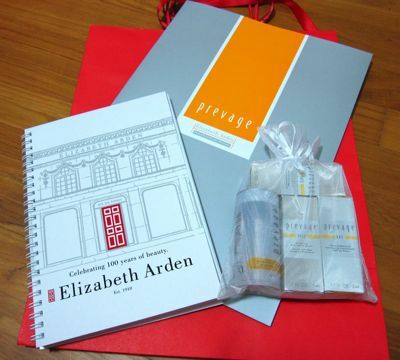 Arden kindly provided a goodie bag with each participant. It included the press kit, the 100th anniversary notebook and samples of the Anti-aging Serum, Day Ultra-Protection Anti-aging Moisturiser SPF30 and Eye Anti-aging Moisturising Treatment. I'll review these after I've tried them out. Do also check out Elizabeth Arden's (Singapore) Facebook page for more pics and info on upcoming events. The new Anti-aging Serum will have an exclusive launch at Takashimaya in mid-May before being rolled out at the other counters. It will be available in 30ml (S$215) and 50ml (S$331). The 30ml size will only be available during the launch period. While checking out the new Skin79 display at Watsons in Ngee Ann City on Tuesday, I decided to purchase the UV Perfect BB Pact (S$35.90) and the Perfect Cover BB Concealer (S$47.90) from the Diamond Collection as I was curious if they would perform as well as the two Skin79 BB Creams that I have been using in place of foundation. 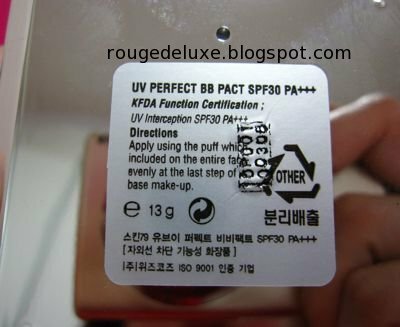 The BB Pact powder is quite finely milled and feels smooth to touch. 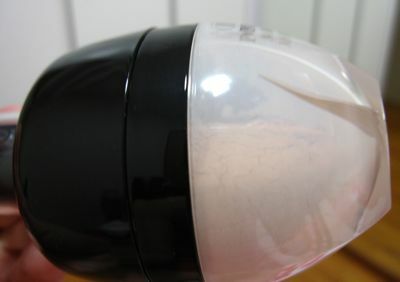 Although it comes with a sponge, I prefer to use a face brush to sweep it on top of the BB Cream, in place of loose powder. 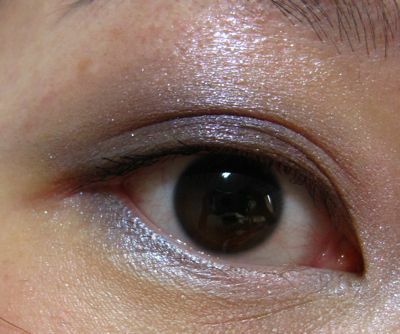 The shade is a light neutral beige that would probably best suit MAC NC25-30 skin tones. 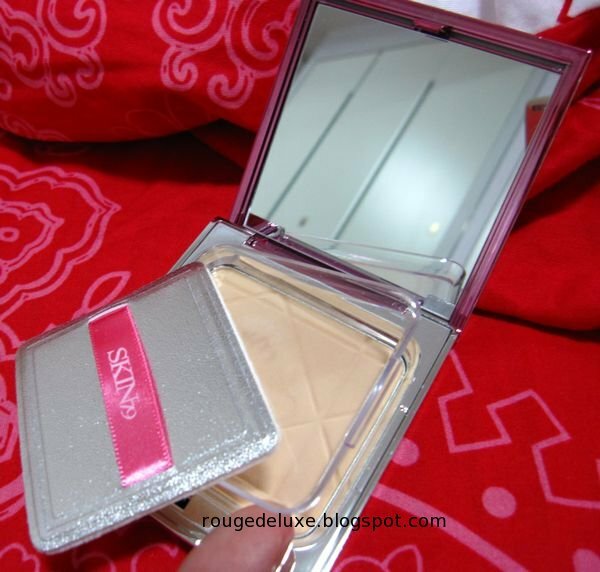 The compact is light yet sturdy. There is a clear plastic lid for the sponge that flips out to the side, which I thought was quite nifty and much more practical than the usual flimsy plastic sheets that I usually end up dropping on the floor. However, the loud 'click' that the lid makes when closing sounds plasticky, and not as classy as the soft muted 'clicks' of the more high-end prestige brands. 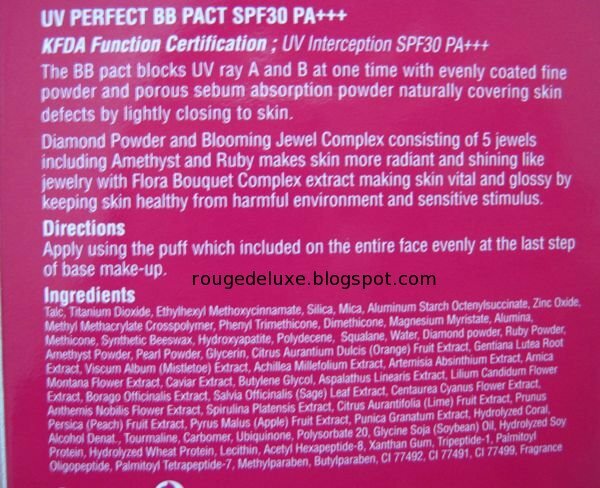 With SPF30 and PA++, the BB Pact provides comprehensive sun protection. 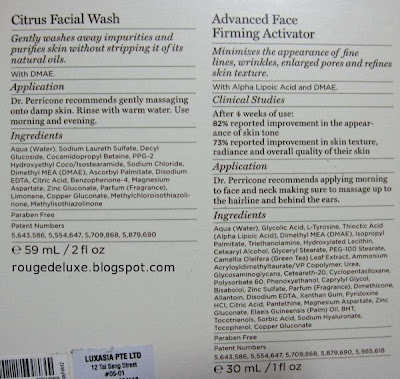 Here's the product description and ingredients list. 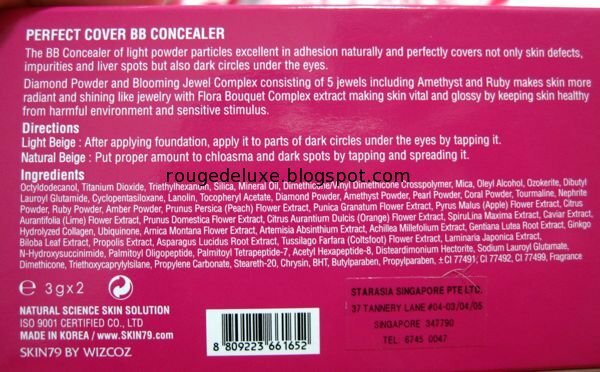 The Super Plus BB Cream does not completely conceal the redness in my cheeks and some of the dark spots. 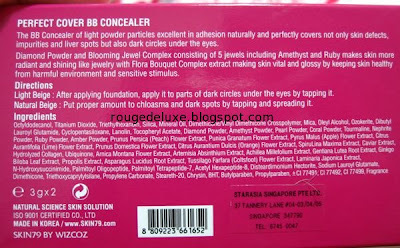 The pic below shows my skin with the the BB Pact applied on top of the Super Plus BB Cream. 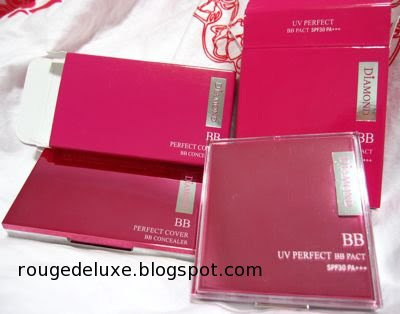 The BB Pact helps to provide more coverage and further evens out my skin tone into a soft matte finish. 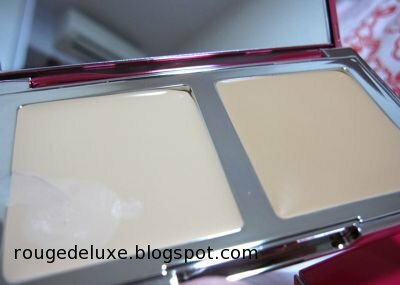 Together with the Super Plus BB Cream, it lasted quite well over more than 12 hours of wear and I only needed to touch up every few hours with a blotting sheet. 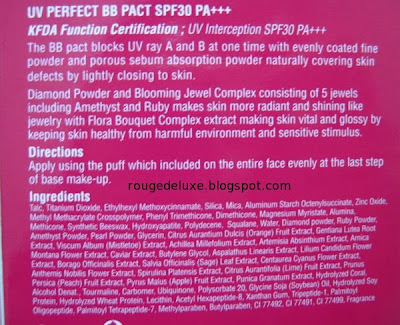 I tried using the BB Pact on its own without the Super Plus BB Cream but it just did not look as good. When used in conjunction with the BB Cream, my pores appear smaller and my skin tone is more even. Like the BB Pact, the Perfect Cover BB Concealer is only available in one shade. The two cream concealers in it are both on the light side, from maybe MAC NC15-25. The lighter shade on the left side is meant for the under eye area while the darker shade on the right is meant for skin discolourations. Both feel quite emollient and easy to spread, but the coverage falls short of full coverage. I used the lighter shade from the Perfect Cover BB Concealer, plus Dior Night Butterfly palette and Maybelline Pulse Perfection Waterproof mascara. The Perfect Cover BB Concealer is quite pricey but the amount of product it contains is quite generous with each shade weighing in at 3g. In terms of performance, I thought it was average as it faded a bit over the course of the day and did not camouflage my dark under eye circles completely. 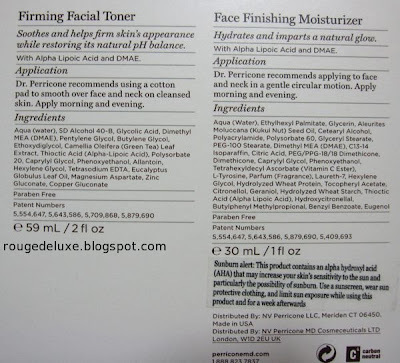 Product description and ingredients list for the concealer. 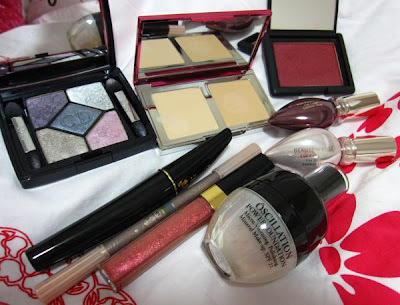 Do also check out my buddy, Kathi's extensive review of the Diamond Collection on Lotus Palace! The She Space has released one final colour collection, Fortune Cookie Wisdom, of 30 gorgeous pigments. The She Space is not closing down. Instead, About Face Cosmetics will be replaced by Hope Quest, which will be much smaller and more focused. The pigments cost just US$3 each and look ever so pretty. I'm so very tempted to place an order but am trying to be good, not to mention there's tons of other stuff that I am lemming at the moment (O.P.I's Shrek Forever After collection just jumped to the top of my list). Popular Taiwanese talk show host Matilda Tao will be appearing in a Beauty Talkshow for Cosme Decorte at Isetan Scotts on Friday 30 April at 7pm. In addition, the first 50 customers to purchase Moisture Liposome (40ml) will be able to purchase it at a special price of $100, instead of the usual S$157. 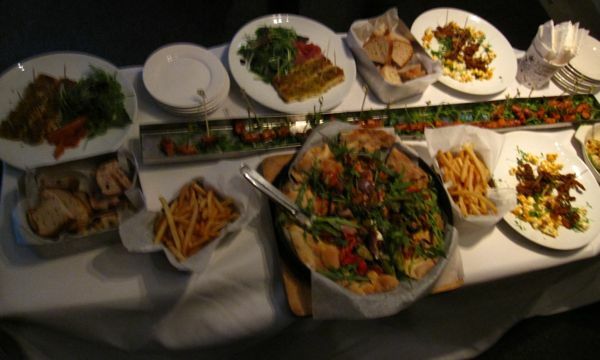 Other special deals are in the pics below. 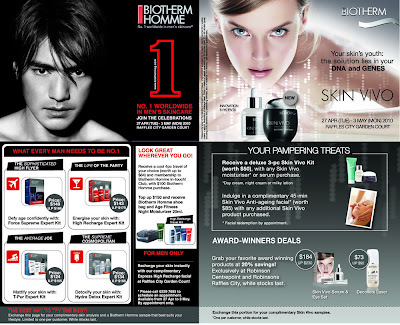 Biotherm is having a promotion at the Raffles City Garden Court from 27 April to 3 May. Just click on the pic below for details on the various special deals! The June issue of InRed will come with a Tsumori Chisato 3-way mini shoulder bag. It has both internal and external pockets and a detachable strap that allows it to be used as a shoulder bag, a clutch or as a 'bag-in-bag'. 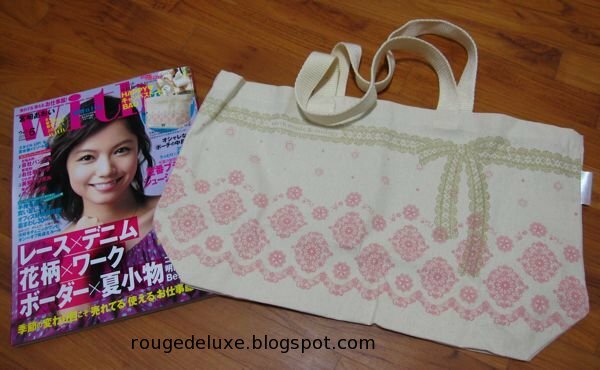 The design is modelled after a Tsumori Chisato large tote bag. You can watch the video clip here. The release date is 7 May for Japan. 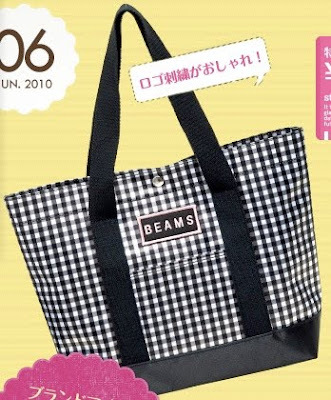 The June issue of Steady will come with a Beams tote bag. Check out the video clip here. Also due out on 7 May in Japan. 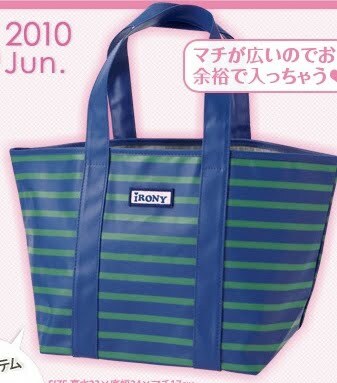 The June issue of Mini comes with an Irony tote bag. Due out on 30 April. Check out the video clip here. 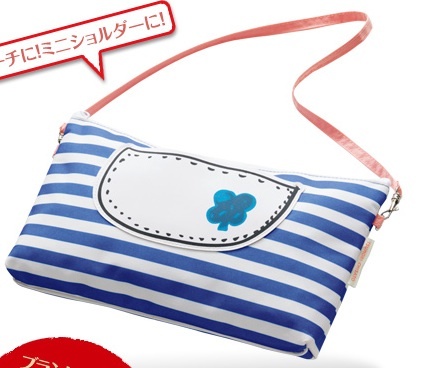 The next issue of Nonno comes with a Peach John zip pouch. Due out on 6 May. The July issue of More comes with a Gelato Pique large tote bag and Pantene Extra Damage Care shampoo and conditioner. Due out on 22 May. 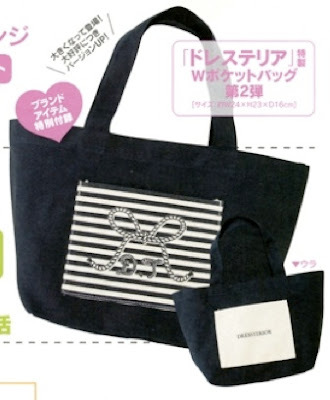 The July issue of Spring will come with a Dressteria tote bag. Due out on 22 May.